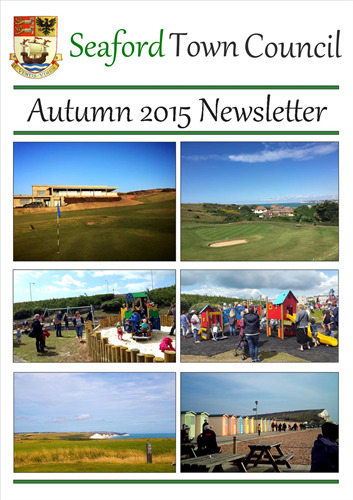 The latest edition of the Seaford Town Council Newsletter is out now and available to pick up for free from the Seaford Tourist Information Centre. Copies of the newsletter will also be distributed to cafés, pubs and other businesses to be made available for free on their premises. This edition contains such things as information on the Mayor, Young Mayor and your recently elected Councillors. It also holds details for recent Council events, important news and updates on major Council projects. An electronic copy of the Newsletter is available to download on this website by clicking the photo below. Seaford Town Council has recently created a mailing list for members of the public. People on the list will receive email updates for things such as the Newsletter, Council and Committee meeting agendas and minutes, press releases and other Council matters.